When you travel what can you get for free? The Travel Freebies You're Missing Out On Free is good! What is the easiest way to obtain your favorite preference of seat when booking your flight? Note your preference in your profile. Advance seat selection is not available with Basic Economy fares. Seat assignments will be auto-assigned for Basic Economy fare holders during check in." With the online interactive seat map, you can confirm your seat in three mouse clicks. In some cases, seat assignments are made automatically based upon your preference for a window or aisle seat, noted in your profile. Aruba Airport Authority N.V. proudly introduces a new system to check passports at Aeropuerto Internacional Reina Beatrix. The computers, known as “Automated Passport Contol Kiosks” (APC kiosks) have already been installed and are being put into service this week. 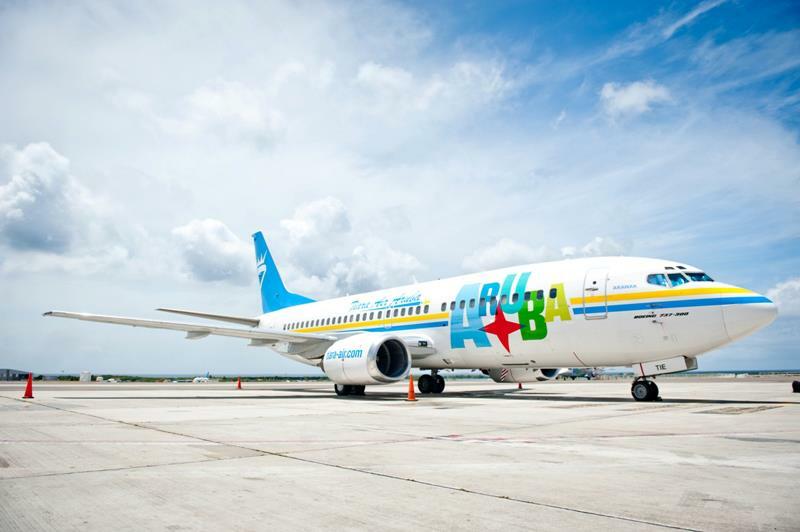 Among invitees, the minister of tourism, together with Aruba Airport Authority N.V. presented this new service to passengers and the entire community. As such, of the more than 300 international airports across the U.S.A. Aruba is the 27th that has APC kiosks to process passengers by means of these automated systems. Aruba is the only airport in the Caribbean to have APC Kiosks. ATLANTA, Dec. 8, 2014 /PRNewswire/ -- Delta Air Lines (NYSE: DAL) is redefining the products it offers customers to further distinguish the choices available to them. Delta will offer best-in-class options for each of its customer segments with innovative multi-cabin experiences. Customers will have five products to choose from, including Delta One, First Class and Delta Comfort+ which offer premium amenities. Main Cabin and Basic Economy service will offer value options with Delta's high standards of service. 13 years he spread his wings and started his own shop in 2011 “ THE BIKE CLINIC”. If you rent from VRBO, you need to read this. This is a documented scam involving VRBO for which they are not taking responsibility or are able to explain. EAGLE BEACH, ARUBA November 15th, 2014– Recently the Amsterdam Manor Beach Resort has obtained the Master achievement Award for Earth Check representing 15 years of continuous certification with EarthCheck. Amsterdam Manor Beach Resort received their first EarthCheck Certification in 2000 and is currently the first hotel in Aruba and second in the entire Caribbean obtaining the Earthcheck Master Achievement Award. Obtaining the Earthcheck Master Achievement Award requires commitment from the entire personnel to achieve better results in terms of sustainability each year. ORANJESTAD, ARUBA November 6th, 2014- Renaissance Aruba Resort & Casino is now offering FREE Wifi throughout the resort to all guests. In December all remodeling on Renaissance Ocean Suites will be concluded. 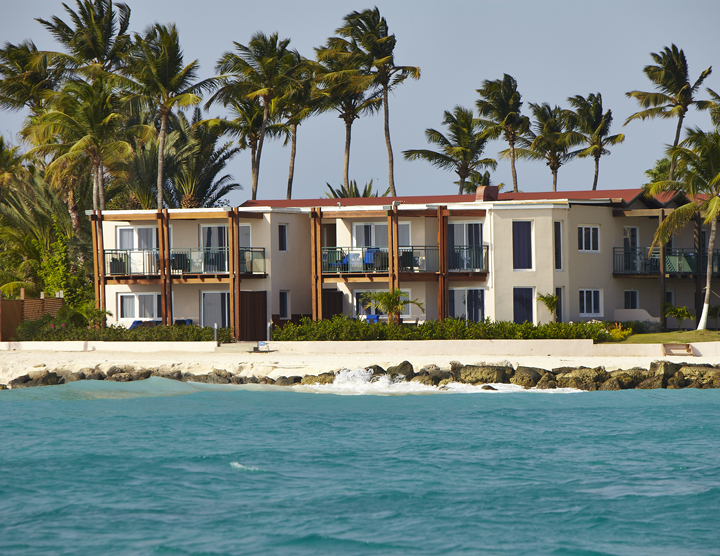 The newly renovated resort features Blue Bar, Papagayo Restaurant on the Renaissance Island, LG Smith’s Steak & Chophouse and Renaissance Marina & Renaissance Ocean Suites rooms. In the meanwhile, Renaissance Resort introduces free Wifi to all guests. Wifi access is very important, it allows the guests to be in contact with their families and loved ones and gives them the opportunity to share pictures and visit social websites. The transformation of Eagle Beach has started: next week the heat is on! ARUBA November 15th, 2014 – A major transformation is occurring at Eagle Beach these day: on the site of the upcoming Divi Aruba Beach Tennis Open some fifty powerful men are hammering, towing, building and hauling things. By the end of this weekend a stunning stadium court will be ready for registration in all categories of the event, which has grown explosively into the largest sporting event on the island. 1100 Players (950 adults and 150 juniors) will be crowding the 30 courts, each and every one intent on showing his or her best moves, greatest bikinis or latest outfits. A veritable village will be built, housing the food court, the bar and the tents selling clothes and gear. The action on the Amstel Bright Stadium court will be jaw-dropping, but do not forget to take a look on the other courts, where you will see players from 25 countries playing their hearts out on all levels of proficiency. Remembering last winter's horrible snow storms throughout the U.S. and the thousands of flight cancellations, here is an article with a few suggestions on what to do, when to do it, and how to do it. ORANJESTAD, Aruba, Nov. 3, 2014 /PRNewswire/ -- Avid picture takers and travelers are just #1happysnap away from the vacation of a lifetime – thanks to a new partnership between the One happy island of Aruba and Nikon, Inc. The brands co-launched a social media contest today (Nov. 3), encouraging fans to share their happiest pictures on Instagram and Twitter for the chance to win a 3 night / 4 day trip for two to the Divi Aruba Phoenix Beach Resort. Winners will also receive photography equipment for their trip, including the Nikon 1 AW1 – the world's first shock-proof and water-proof interchangeable lens camera. Ten years after the World Trade Center horror, Howard Lutnick, chief executive of Cantor Fitzgerald, reveals to James Quinn how the company fought its way back from the disaster, all while looking out for the families of colleagues who died. The first Donkey Calendar 2015 was officially handed over to Jack Bult, the well-known super power behind Super Food last week. Shoppers witnessed the event with interest last Saturday morning. The supermarket as well as its director are friends of many charities on Aruba; one of these is the Donkey Sanctuary. From day one Super Food has been a faithful advertiser on the calendar and it has allowed the Donkey Foundation to sell the calendar inside the store. Twelve sponsors pay for the production of the calendar, which allows all proceeds to go towards the Donkey Sanctuary. The money is much-needed to be able to continue taking care of the more than 130 donkeys that find a home at the sanctuary. A great group of volunteers takes care of the animals; they also help raising funds. The 2015 edition of the Donkey Calendar is an example of their hard work. What might you see if you take a Discover Scuba course in Aruba? This video was filmed on the World War II wreck of the Pedernales, a popular spot for Aruba dive shops to take beginner divers. Some beers in Aruba, like locally brewed Balashi or Amstel Bright only found in Aruba, Bonaire or Curacao and make a unique souvenir to bring home to remind yourself of your sunny Aruba vacation. Though Balashi can be found in cans, Amstel Bright is only sold in bottles. So the dilemma is getting the bottles home in one piece. First off we are fortunate in that a few years back we invested in light weight hard sided luggage. 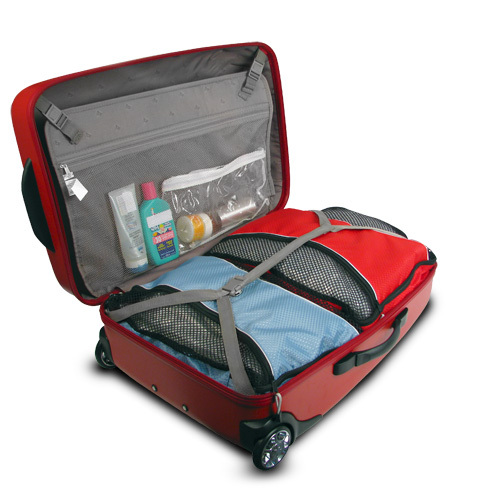 You can read about our lightweight luggage purchase here. Keri Anderson makes "The Case for the Purple Suitcase"
ORANJESTAD, ARUBA – (July 21, 2014) – To grow the brand awareness already established for the properties, the Divi & Tamarijn Aruba All Inclusives are today launching a sweepstakes for individuals who love to fish to enter to win a stay at the Tamarijn Aruba All Inclusive and entry into the 4th Annual Presidential Challenge Chivas Regal Aruba Caribbean Cup billfish tournament scheduled to take place from October 16-19, 2014. Timed to coincide with the height of marlin season in Aruba, anglers will have a good chance to catch a “Grand Slam” of blue marlin, white marlin and sailfish all in one day. Here is a great way to explore Aruba's culture and Carnival all year 'round. Yet another new study, on when is the best time to book your flight? Transportation Security Administration (TSA) tips for parents traveling with their children. If you want to travel light, it’s not merely what you pack that matters — it’s what you don’t pack. Other than beautiful beaches, fantastic accommodations and friendly service we also have this sensational package for the whole family! The beautiful surroundings and renovated property of Aruba's Radisson Aruba Resort, Casino & Spa will be a wonderful backdrop for you and your sweetie to experience the true nature of love. On Aruba's tranquil island paradise, you’ll treasure tailor-made moments and a truly unforgettable escape. Boardwalk Small Hotel Aruba, the best hidden gem hotel in Aruba from Boardwalk Hotel Aruba on Vimeo. Marriott Rewards members can now check-in and checkout online at the Aruba Marriott Resort & Stellaris Casino with Marriott’s Mobile app. On May 6th, the Marriott mobile check-in and checkout feature was launched internationally at the Marriott Resorts. MAY 8, 2014- Aruba Marriott’s first guests using the mobile check-in were honeymooners the Bryson’s. Welcomed by management with a glass of champagne, front desk agent Shireen checked the couple in. “It was very easy and quick to make use of Marriott Mobile check in,” said Mr. Bryson smiling. May 19, 2014- Berkshire Hathaway Travel Protection, part of Berkshire Hathaway Specialty Insurance, today unveiled AirCare™, the first product in its new travel-insurance line designed for travelers, travel agencies, tour operators and travel suppliers. AirCare™ is the first low-cost fixed-benefit flight protection coverage available up to one hour before flight departure. Emmy award-winning TV host and correspondent Karen Schaler presents unique adventures in Aruba such as the rugged, beautiful wild side of Aruba that many people never experience but should. Is Your Luggage Too Heavy? On our recent trip my Dad said to me, "You know my suitcase feels so heavy even though I did not bring a lot of clothes." I asked him if he weighed the bag with his hand held scale and he said yes, he was just under the 50 pound limit. It reminded me of a suitcase my father-in-law gave us years ago. 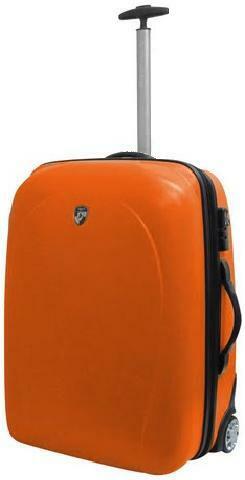 Now I am not talking far enough back to luggage of the 60's but more typical of luggage we see today. We discarded the the "hand me down" suitcase right after we received. It was beautiful, heavy duty and just downright HEAVY. The suitcase on its own, empty weighed just shy of 20 pounds!!! On my "to do" list is to weigh all of my Dad's luggage and discard the heavy old ones. On our last trip to Aruba, the suitcase he had brought with him ended up going in the trash. The zipper on it broke. Thankfully La Linda Department store in Oranjestad sells a wide variety of luggage. Luggage nowadays is much more lightweight. We ended up purchasing three sets of new lightweight hard sided luggage. If you shop around, even for name brands, there are always deals waiting to be found! 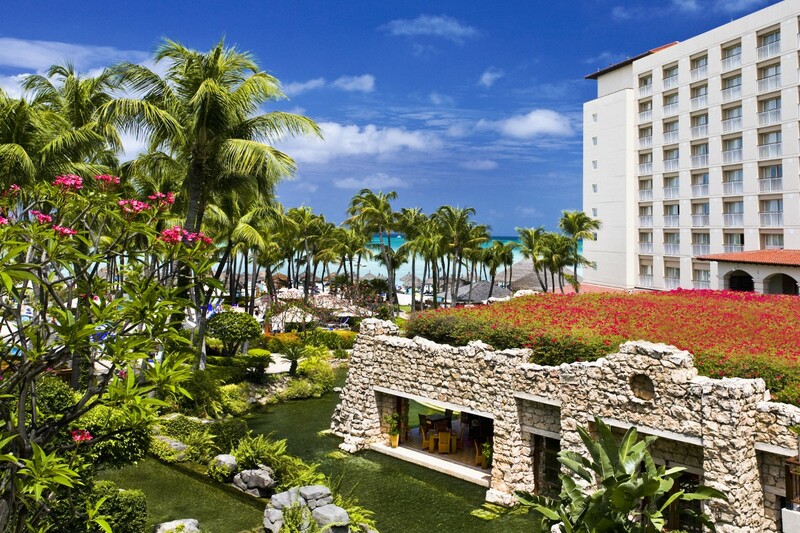 MIAMI May 08, 2014--(BUSINESS WIRE)--InterContinental Hotels Group (IHG) (LON:IHG), (NYSE:IHG) (ADRs), announces the completion of a significant renovation of the Holiday Inn Resort Aruba - Beach Resort and Casino, one of the island’s landmark resorts. The hotel is located on Palm Beach, known by visitors as the finest beach on the island, offering guests one of the most beautiful views in the Caribbean. Unless entirely exhausted I am rarely able to sleep on a plane. These are some good suggestions. ORANJESTAD, ARUBA – (April 22, 2014) – Just over a year from the properties’ launch of their redesigned websites and new family and wedding/honeymoon micro-sites, the Divi & Tamarijn Aruba All Inclusives continue to refresh their digital presence with the addition of two new mobile micro-sites targeting these two key niche markets plus a refurbishment of the properties’ existing mobile websites. In Aruba, the Renaissance's private island is one of only two truly private islands (the other is De Palm Island). Make sure you watch this in 3D. I have heard people say they think airlines set airfares by throwing darts at target prices on a wall. It is actually much more complicated than that. "Every airline employs a cadre of fare revenue managers. These are the folks who adjust airfares throughout the day, depending on route, season, demand, supply and other factors. They're a notoriously tight-lipped bunch, but, on condition of anonymity, we got one to explain how the fare game works." Do yourself the favor of avoiding lots of aggravation and pack your prescription medications in your carry on. It may be more convenient to pack them in your luggage, but what would you do if you end up in Aruba without your luggage and thus no medicine? Most people do not travel with written copies of their prescriptions. I learned this lesson the hard way. Not wanting to lug a carry on, I packed my meds in my suitcase. The suitcase did not make it to my destination, thus I had NO medication. Fortunately I was only traveling domestically and the luggage was delivered to my accommodations about 7 hours after my arrival. My tips for traveling with medication. A. This can be true at especially windy times of the year such as June, but mostly depends on where you stay since all hotels are on the leeward side of the island and the hotel buildings for the most part block you on the beach from the wind coming across the island. Average wind speed in June is 20 m.p.h. and in October and November it is only 13 m.p.h. Q. Are there hurricanes in Aruba?